I used the Hearts Come Home stamp set bundle from Stampin’ Up! to create my card for the Happy Inkin’ Thursday Blog Hop today. We’ve got a sketch challenge this week and this is what I created for it. I started by stamping the sentiment from the Hearts Come Home stamp set (available Sept 1) in VersaMark ink on a panel of Whisper White card stock. 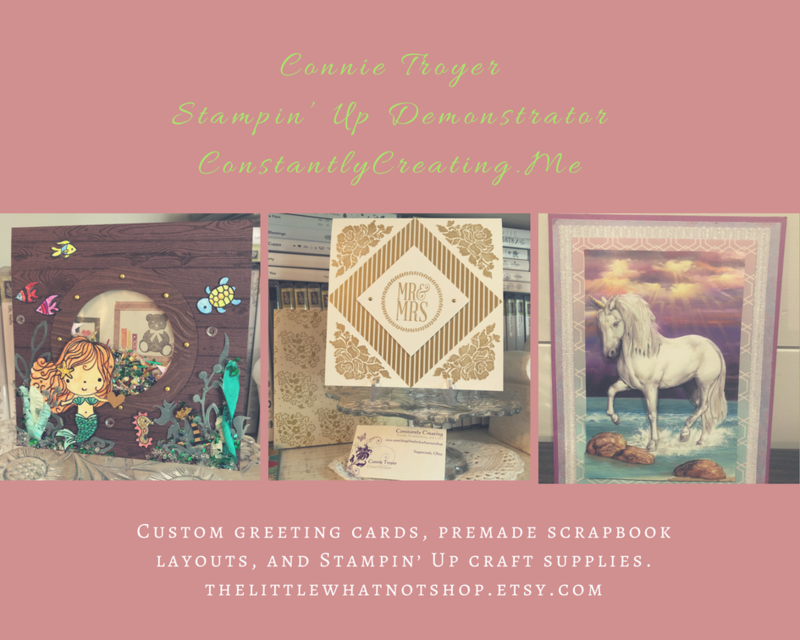 I sprinkled the image with Gold Stampin’ Emboss Powder and heat embossed it. I adhered narrow strips of Gold Foil Sheets to the sides of the stamped panel with SNAIL, then I wrapped a strand of Whisper White Baker’s Twine around it and tied a bow. I adhered the stamped panel to a Soft Sky card base with Stampin’ Dimensionals. I cut a panel of Whisper White card stock with two of the Hometown Greetings Edgelits Dies (available Sept 1). I placed the two die cuts one on top of the other and cut them again with the largest Layering Ovals Framelits Die. Then I cut up little pieces of Gold Foil Sheets and adhered them to the backs of the houses with Multipurpose Liquid Glue. I cut another oval from Soft Sky card stock and embossed it with the Softly Falling Embossing Folder. I adhered one row of the houses to the Soft Sky oval with Multipurpose Liquid Glue and the other row with Mini Stampin’ Dimensionals. I adhered the layered oval to the card front with Stampin’ Dimensionals and then added a gold enamel heart from the Metallic Enamel Shapes pack next to the sentiment to finish it. I stamped and heat embossed the sentiment from the Hearts Come Home stamp set with Gold Stampin’ Emboss Powder and then added the houses and trees in Soft Sky ink on the inside of the card. Holiday Catalog Ordering Opens at 3:00 AM MT Tomorrow!! 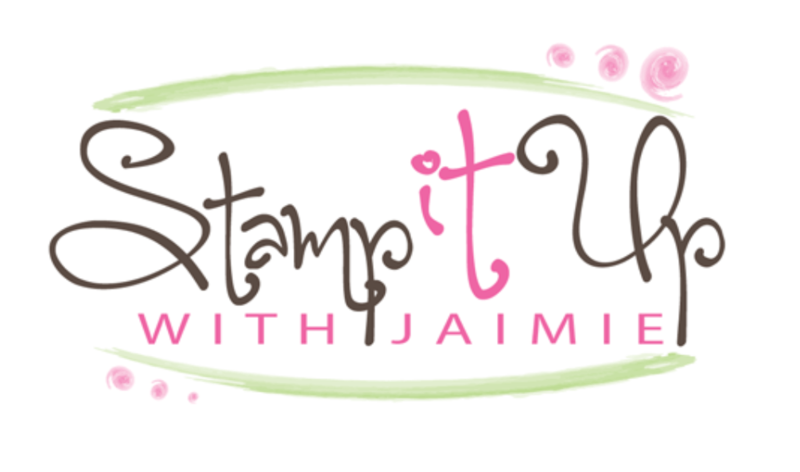 The 2017 Stampin’ Up! Holiday Catalog opens for ordering tomorrow, September 1, at 3:00 AM MT!! The online store will be offline from midnight MT tonight until around 3:00 AM MT tomorrow so that all of the new items can be added. Once that is completed, the online store will be back up and running! So get your wish lists ready and have fun shopping! This entry was posted in Holiday/Christmas and tagged CAS card, Christmas card, Hearts Come Home, holiday card. Bookmark the permalink. This is such a sweet card, I love it! Such an idyllic scene, and the gold is the perfect touch. Ahh, this is sweet ! This is beautiful and is so unique! Great color scheme. Definitely a stand out card! Beautiful Christmas card! Love the gold and white! Beautiful card Amy! Love your color choices and the gold behind the houses. Great design. You have out done yourself with this card. Love it! So beautiful Amy. I love how calm and soft the card is and the gold behind the buildings i genius. Not too early to think about the holidays. Your post was inspirational. I had to go back and look at the catalog again–I totally overlooked that set. You make all the sets look great and this is no exception. I love the blue sky on the blue base with those gold buildings and accents. I just love the gold accents on this card….goes so wonderful with the blue. Very well done Amy. I may have to go back to the catalogue for more goodies. Very pretty, love the shiny foil!